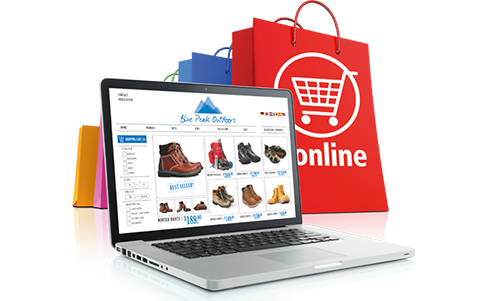 Effective and sustainable search engine optimization is the basis for successful online shops. In order to secure the long-term success of your shop, we pursue a holistic SEO approach and work according to the specifications of the Google Webmaster Guidelines. In doing so, we aim for a future-proof and stable growth of your company. We will rank your website on the following keywords: industry keywords, categories, subcategories, brands you sell, brand related keywords, services, products and product model number. Through selected keywords and the optimal combination of the on and off page measures, we get more qualified traffic and improve your ranking in the organic search results of Google & Co. as well as your sales. We know where your visitors are. We place clear messages where you reach your target group most effectively. Search engine optimization is one of the most sustainable and efficient methods in online marketing. By optimally observing the quality specifications of the search engine providers and further optimization options, search engine users can be directed to your website.In a professional SEO consulting we show you exactly how you can establish the search engine optimization in your marketing mix, develop suitable SEO measures and strategies and implement them successfully. Search engine optimization is a continuous and long-term process. Properly used, SEO is a sustainable part of your marketing mix. A precise SEO strategy tailored to your online store helps you to place your company permanently online, to secure important competitive advantages and to orientate your online shop in the best possible way to its users and their needs. SEO is not a process aimed at short-term success. All measures then have their full effect if the process is continuously advanced and regularly adapted to changing conditions. Therefore, the SEO strategy should already be planned when designing your website. Information structures, content and linking strategies have a significant impact on the performance of your online shop right from the start. If not the necessary time is invested in a thorough planning, high costs for downstream optimization often occur later. Search engine optimization must therefore become an integral part of your online marketing and grow together with your online store. See more about our internet marketing Sydney local solution. For most eCommerce business, attracting online shoppers to purchase their products or services has lead to the use of different marketing strategies. However, as far as eCommerce is concern, no other marketing strategy works more efficiently and effectively as much as SEO. As per our Sydney SEO specialists, Search Engine Optimization (SEO) gives you to opportunity of directing shoppers searching for your type of brand to your sites by giving the search engines commands to make you visible to them by ranking you higher on their search results. It is an effective marketing technique that ensures frequent flows of visitors to your site by giving your site a high placement. There are different aspects of SEO for eCommerce businesses. Lets go through the most important ones. 1. Keywords Research: Researching for keyword is the very first shot at coming up with a productive SEO strategy. It is the most important aspect of SEO because not researching for keywords might see you using the wrong keywords which in turn lowers the traffics to your sites. So how do you do your keywords research? Firstly, relevancy is the first thing to consider. You need to ask yourself what keywords are more relevant to your products or brand? The keywords chosen must have exact search volume that is locally high in the Google Adwords tool. These keywords must also posses a difficulty score that is relatively low in Moz's keyword tool. Ensure these keywords are not too competitive nor too broad. It is also a good idea to do some research on the keywords your competitors are using. You can do this by using the Moz's tool bar. 2. Meta Tags: Although Google has publicly stated they no longer consider meta tags in ranking, meta tags today still has a vital role in search engine optimization (SEO). All search engine needs meta tags to understand the basic idea about sites. Meta tags are embedded in the sites HTML head area so it is not visible to the sites customer but it is identifiable to search engine quickly.To use meta tags to your advantage for your eCommerce brand, they have to be placed in the site's title, description and keywords. This allows search engines to read the site's description as well as sight the keywords easily. 3. Backlinks: Backlinks are like a vote for eCommerce brand only that those votes are not democratic and each votes carries different authorities and weights. Backlinks still remains an essential factor in search engine ranking. You can build quality backlinks submitting press releases on any amazing company and also by contacting blogs you share the same interest with to work together on creating backlinks for your eCommerce sites. 4. Contents: This is another important aspect of SEO for any eCommerce business. One of most search engines tactics of ranking is to analyze contents of a page. In other to attract customers to your eCommerce sites, you need to create contents that are SEO friendly. To do this, content on the site must be create with the sole aim of attracting traffic to read it by knowing how to use keywords in the content to be searchable by search engines. The contents also as to be well organized to keep the visitors attracted.